Gluten free in Berlin, Germany! I just got back from a week in Germany and I can report good and bad news about gluten-free options there. Which do you want first? Let’s start with the bad news. It was rather thin on gluten-free options. I was at a conference that served bagels, cookies and other baked goods with a piece of fruit and yogurt for lunch. I was limited to ~3 dishes at a Vietnamese restaurant that met my restrictions (our co-worker wanted some spicy food!). The good news has several facets. First, everywhere I went, people were very knowledgeable about gluten-free needs. Not speaking any German, I carried a gluten-free restaurant dining card. Everyone readily understood this and helped me pick gluten-free items, successfully (I didn’t get sick!). My experience at the Humboldt University cafeteria was excellent. They used a list of 30 numbers marking certain allergens or food additives. If I saw a dish label with #21, I knew it contained gluten and steered clear! 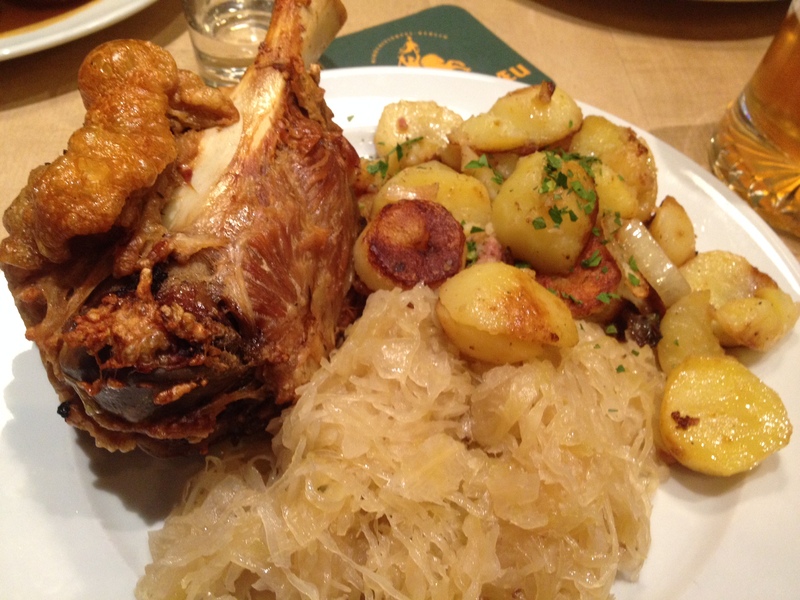 Also, Germans eat a lot of potatoes so there are lots of options for dinner as long as you eat meat. So, on one hand, there weren’t a ton of options… but the options were sufficient and safe (from a gluten-free perspective). This entry was posted in Uncategorized on April 7, 2014 by gfvermont. I didn’t know there was such a thing as a card you could carry about GF in foreign languages! Thanks for the tip!